In addition to providing relief to families suffering from pediatric cancer, the chapter's goal was to establish a THON partnership with a sorority. A Greek organization's THON partner is a big indicator of social standing in Penn State's Greek community and is also a huge recruitment tool. 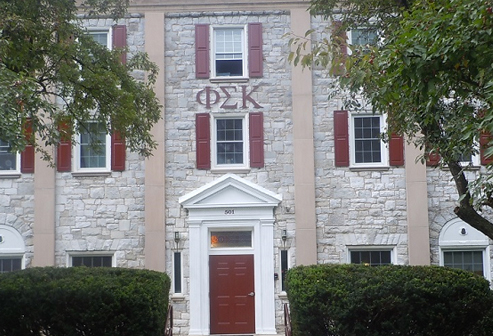 Most sororities have had partnerships with individual fraternities for several years. When a sorority becomes available, several fraternities attempt to become its new partner. Often times, the sorority picks the organization that raises the most money. Unfortunately, we were unable to partner up after last year's THON. Although the brothers were disappointed, they were determined to get a sorority partner for next year by setting a fundraising goal of $50,000. That determination has shown as the chapter has set personal fundraising records, including raising $10,000 more on canning trips than any previous year. Prior to collecting Thonvelopes and individual donations (our biggest fundraisers), Kappa Chapter has raised $30,000 to date. But in order to reach our goal of raising $50,000, we need your help. Please consider making a donation at our personal giving page, http://giveto.psu.edu/THON-PhiSigmaKappa. 96 cents out of every dollar raised goes directly to funding pediatric cancer research and financial assistance to families suffering from this horrible disease. 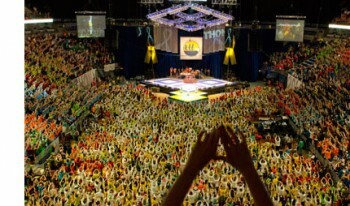 For more information on THON and the Four Diamonds Fund at Hershey Medical Center, please visit www.thon.org.